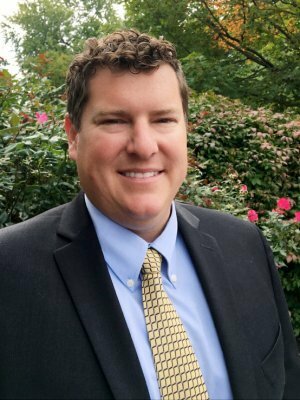 Todd is a financial advisor with Foundations Financial Partners, LLC providing comprehensive financial planning services and advice to individuals, families and small businesses. He has an undergraduate degree in Psychology from James Madison University. Prior to joining the Financial Services Industry, Todd immersed himself into the world of golf. His entrepreneurial spirit and love for the sport inspired him to become a member of the PGA. As a PGA member, he discovered his passion for teaching and helping others achieve their goals. "One of the things that I loved about being a golf professional was the educational aspect of my job. I enjoyed having a technical knowledge that was sought after by clients looking to improve their game. I pride myself on my ability to analyze a situation, develop a solution, and deliver it in a way that is easy for my clients to understand and apply. I apply this same process in my service as a financial advisor. Nothing inspires me more than seeing individuals and families achieve and protect their hopes and financial dreams." Throughout his career, Todd has managed several small business ventures including his own start-up advertising company. He has experienced the growing pains of business, but also has reaped the rewards of his success with good financial planning. "I believe the experience from my previous professions provide me with the ability to offer a holistic yet realistic approach to the financial needs of individuals, families and small businesses." Todd is a Registered Representative and Investment Advisor affiliated with Securian Financial Services, Inc. He holds FINRA Series 7 and 66 securities registrations and is a licensed Life, Accident and Health Insurance professional. Todd currently resides in Abington, PA with his wife Hannah and son. They enjoy golfing, fishing, and traveling. "Finding good partners is the key to success in anything: In business, in marriage and especially, in investing." Todd is a Registered Representative and Investment Advisor Representative of Securian Financial Services, Inc. Separate from the financial plan and our role as financial planner; we may recommend the purchase of specific investment or insurance products or accounts. These product recommendations are not part of the financial plan and you are under no obligation to follow them. Securities and investment advisory services offered through Securian Financial Services, Inc., Member FINRA/SIPC. Securities dealer and registered investment advisor. Foundations Financial Partners is independently owned and operated.